This is an Email Gift Certificate. At checkout please leave the email address you would like the gift certificate sent to if it's different from the one attached to your account. After the order has been submitted, an email will be generated and sent to the email address you provided. If you want to deliver the gift certificate at a later date, or print it out for the recipient, just have it sent to your email address. 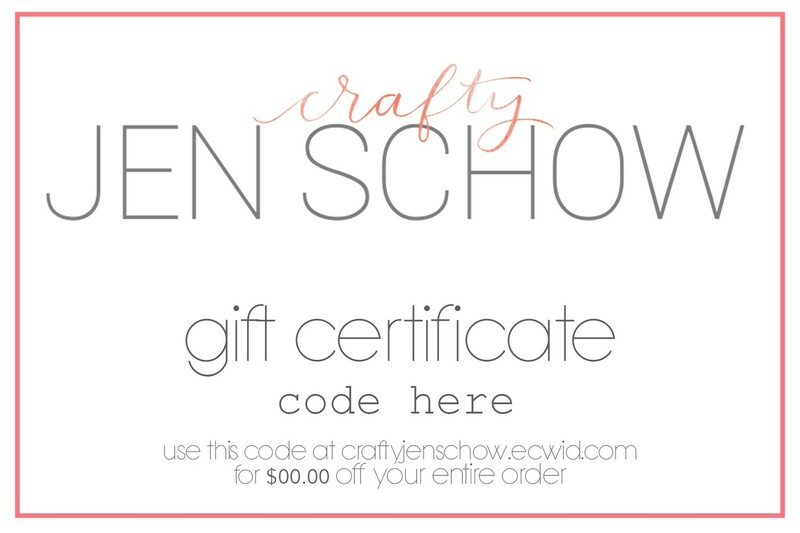 The coupon code can be redeemed in my shop at craftyjenschow.ecwid.com, by simply entering the code where prompted at checkout. Gift codes will be sent within 24 hours of purchase.